Vivo Mobile has announced its latest V15 Pro on its official Twitter handle. The phone will be out on February 20 in India, but the new Vivo V15 is worth a watch as the shiny blue outshines many new in the market. The new Vivo V15 Pro will have a full-screen display and pop-up camera selfie, although it’s the second one to be launched with these features. The first one was Vivo Nex. Along with a widescreen V15 Pro will sport a 32 MP selfie camera too, tweeted Vivo. The company although hasn’t revealed much on the details fo 32 MP camera sensor used in the V15 Pro. If reports are to be believed V15 pro’s 32 sensor might be similar to the image sensor of recently launched Samsung GD1. Although Samsung GD! reviewers have called it a power efficient sensor with support for HDR and electronic image stabilisation (EIS). Revealing its price details, Vivo said that the new V15 Pro will be costing between Rs. 20000 to Rs. 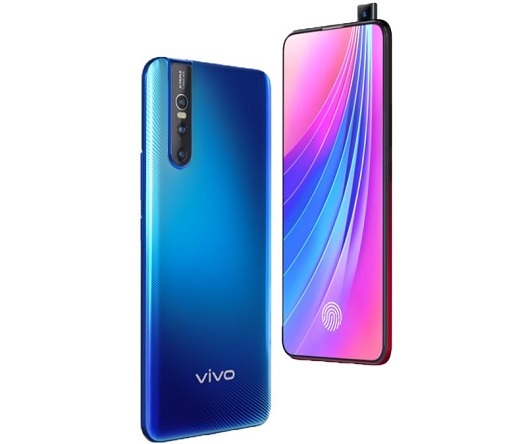 30000, a price much lower than Vivo Nex which costed around Rs. 39,990. Not much has been revealed about V15 Pro’s specifications but the phone is expected to have decent features such as Snapdragon 675 chipset at the helm, touch screen with an in-display fingerprint sensor, 6 GB RAM, 128 GB storage and 37,00 MAH battery. V15 Pro will be competing against Nokia 8.1 which is awaiting its launch later this month.